Rocking my new Athlon Optics 1000 yard club shirt. Getting out past a mile with my Tikka t3x in 300 winmag topped with the Athlon Argos btr ffp 6-24×50 riflescope in the MDT LSS Chassis. I think I can stretch my current rifle & riflescope set up out to 1850 or 1900 yards. I am getting ready to change my 20moa base out for a 40moa base and I should have no problem getting out to well beyond 2k with my current rig. 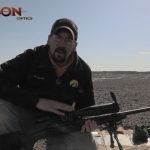 Shooting 208gn hornady eld match at 2750fps. This was a 3rd round impact at 1810 yards in 10 mph winds. The Balloons on the target popped on impact. 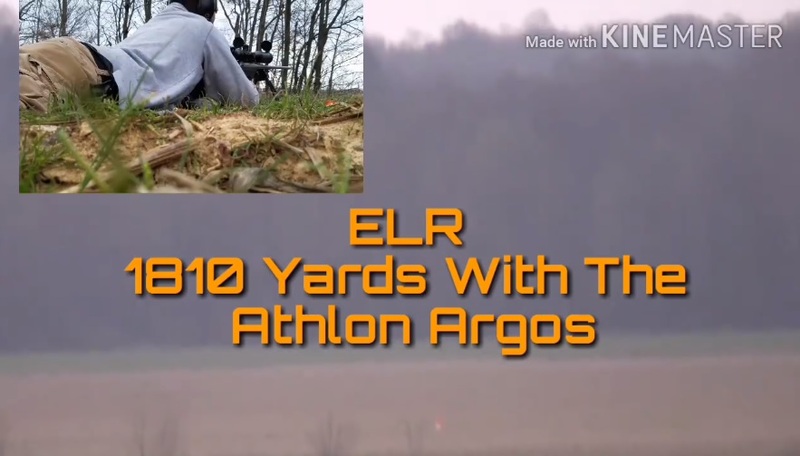 Athlon Optics Argos BTR Riflescope performed great! 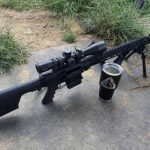 Dirk: When my Ares BTR RifleScope arrived I was immediately surprised…Its built like a tank!